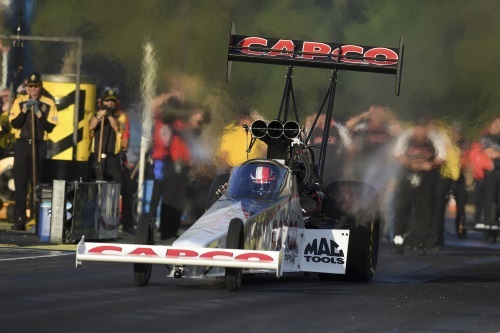 SEATTLE – Steve Torrence piloted to the top of the category Friday night at Seattle as the current Top Fuel points leader took the preliminary No. 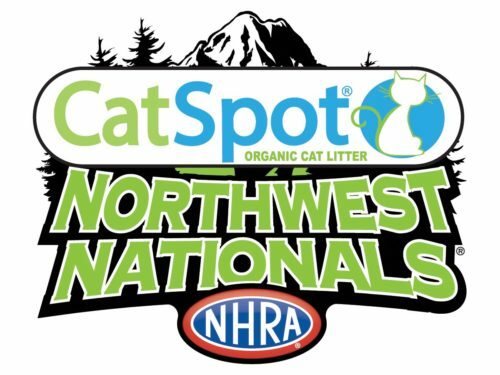 1 qualifier at the 31st annual CatSpot NHRA Northwest Nationals at Pacific Raceways. Matt Hagan (Funny Car) and Jeg Coughlin Jr. (Pro Stock) are also preliminary No. 1 qualifiers in their respective categories at the 16th of 24 events on the 2018 Mello Yello Drag Racing Series schedule. Torrence took the lead with his second pass of 3.723-seconds at 331.61 mph in his Capco Contractors/Torrence Racing dragster. Torrence is seeking his first career No. 1 qualifier at Pacific Raceways and 18th of his career. Doug Kalitta jumped into second in the class with a 3.730 run at 326.00 in his Mac Tools dragster during the second qualifying run. 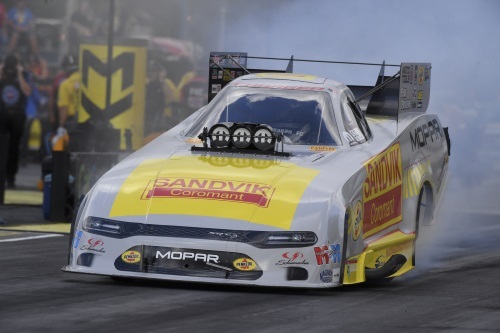 Hagan drove to the preliminary top spot with a run of 3.913 at 324.75 in his Sandvik Coromant Dodge Charger SRT Hellcat during the second qualifying session of the evening. Hagan is on the hunt for his fourth No. 1 qualifier of the year and first career top spot at Pacific Raceways. Defending world champion Robert Hight is second in current Funny Car qualifying after his run of 3.919 at 327.82 in his Auto Club of Southern California Chevrolet Camaro as he looks to defend his event title on Sunday. Coughlin Jr., the most recent event winner, powered his way to the top of the Pro Stock category in his JEGS.com/Elite Motorsports Chevrolet Camaro with a pass of 6.501 at 212.16 during the second round of qualifying. He is focused on securing his second No. 1 qualifier of the year and fourth victory of the year. Points leader Greg Anderson is currently qualified second following a 6.503 at 211.79 in his Summit Racing Equipment Chevrolet Camaro during the first round of qualifying. Qualifying continues at 1:30 p.m. PT on Saturday at Pacific Raceways. 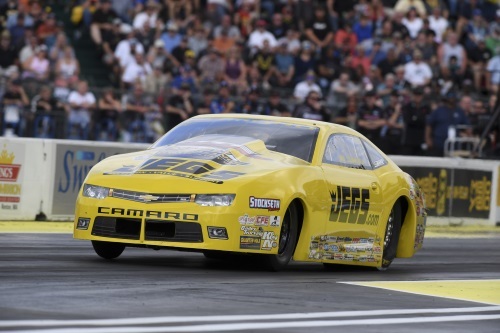 KENT, Wash. — Friday’s results after the first two of four rounds of qualifying for the 31st annual CatSpot NHRA Northwest Nationals at Pacific Raceways, 16th of 24 events in the NHRA Mello Yello Drag Racing Series. Qualifying will continue Saturday for Sunday’s final eliminations. Top Fuel — 1. Steve Torrence, 3.723 seconds, 331.61 mph; 2. Doug Kalitta, 3.730, 326.00; 3. Clay Millican, 3.743, 330.47; 4. Tony Schumacher, 3.751, 327.03; 5. Antron Brown, 3.761, 330.80; 6. Leah Pritchett, 3.764, 321.73; 7. Mike Salinas, 3.779, 325.85; 8. Brittany Force, 3.785, 326.32; 9. Richie Crampton, 3.792, 323.50; 10. Scott Palmer, 3.815, 323.81; 11. Shawn Reed, 3.881, 290.32; 12. Troy Buff, 3.890, 303.64; 13. Terry McMillen, 3.892, 311.34; 14. Jim Maroney, 3.932, 283.13; 15. Funny Car — 1. Matt Hagan, Dodge Charger, 3.913, 324.75; 2. Robert Hight, Chevy Camaro, 3.919, 327.82; 3. Courtney Force, Camaro, 3.927, 325.69; 4. Bob Tasca III, Ford Mustang, 3.943, 321.19; 5. Tim Wilkerson, Mustang, 3.963, 317.27; 6. Shawn Langdon, Toyota Camry, 3.977, 325.37; 7. Tommy Johnson Jr., Charger, 3.977, 321.35; 8. Jonnie Lindberg, Mustang, 3.995, 315.42; 9. Ron Capps, Charger, 4.018, 318.47; 10. J.R. Todd, Camry, 4.056, 308.43; 11. Jim Campbell, Charger, 4.073, 307.09; 12. Gary Densham, Mustang, 4.085, 309.98; 13. Richard Townsend, Camry, 4.136, 274.39; 14. Jeff Diehl, Camry, 4.215, 281.89; 15. John Force, Camaro, 6.260, 105.47; 16. Terry Haddock, Mustang, 6.488, 108.39. Not Qualified: 17. Jack Beckman, 7.192, 97.47; 18. Cruz Pedregon, broke. Pro Stock — 1. Jeg Coughlin, Chevy Camaro, 6.501, 212.16; 2. Greg Anderson, Camaro, 6.503, 211.79; 3. Erica Enders, Camaro, 6.506, 212.66; 4. Tanner Gray, Camaro, 6.510, 212.09; 5. Jason Line, Camaro, 6.518, 211.73; 6. Deric Kramer, Camaro, 6.522, 211.56; 7. Bo Butner, Camaro, 6.526, 211.96; 8. Vincent Nobile, Camaro, 6.527, 211.33; 9. Chris McGaha, Camaro, 6.541, 211.83; 10. Alex Laughlin, Camaro, 6.541, 210.80; 11. Drew Skillman, Camaro, 6.553, 211.13; 12. Matt Hartford, Camaro, 6.557, 209.95; 13. Fernando Cuadra, Camaro, 6.564, 210.54; 14. Alan Prusiensky, Dodge Dart, 6.615, 209.01; 15. Steve Graham, Camaro, 6.637, 208.91; 16. Joey Grose, Camaro, 8.319, 117.73.